Tom Mulcair and the NDP are toast! This was the election that was the referendum on Stephen Harper. It was dubbed as the Anybody but Harper campaign. It ended badly for Mr.Harper we know that now. The Conservatives, on the other hand will live another day. The NDP might not be so fortunate. Before the election was dubbed the “Anybody but Harper Campaign” the discussion centered around whether the left could exist as two bodies and defeat the Conservatives without splitting the vote. That was put to the test in this election and from where I sat and watched only one survived. As soon as Tom Mulcair said the NDP stood for balanced budgets they became Harper lite. Justin Trudeau and the Liberals pounced and said they would run deficits creating a clear choice in the voting public’s mind. Would they vote for Harper and the Conservatives ( Which the NDP was now lumped) or would they vote for Liberal deficits and spending. While the voters where mulling that over, Thomas Mulcair put what I think was the final nail in his and the NDP coffin. It wasn’t the niqab ( although that didn’t help him ). At the September 28 debate Thomes Mulcair shot him and his party squarely in the foot. Mulcair invoked the death of Justin Trudeau’s father, Pierre Elliot Trudeau. Trudeau made a passionate defense of his father as would I of mine. Trudeau took full control from that moment on and made the voters choice easy, a compassionate party with a left leaning economic vision versus two balanced budget parties that were mean. In my mind the election was over that night. At the same time the Trudeau Liberals swallowed up the NDP and gave those progressive voters a home they could win on. Next election the economy will still be the topic ( It always is) but the NDP wont have much to say in the outcome. It will be tax and spend of the Liberals versus the Conservatives fiscal economic planning. The Conservatives will have a new leader who will have gotten the message from last night. There will be no Anybody But Harper Campaign. The fight will be for those new voters who came out this time. The NDP? There is no longer room for them, they had their chance. Jack Layton must be rolling in his grave! Congratulations are in Order to Dean Drysdale who rode to Victory in today’s Federal Conservative Nomination contets. 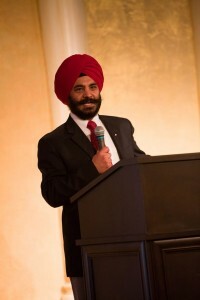 Dean won the right to represent the Conservative EDA of Cloverdale Langley in the upcoming federal election in October 2015. Dean is a great candidate who will represent the party well. It is time for all area Conservatives to line up behind him, roll up your sleeves and begin the hard work of sending him to Ottawa. Congratulations Dean, tonight is your night! 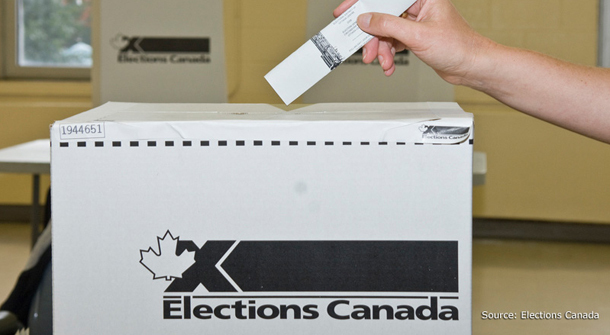 Four federal by-elections were held today , two in Ontario and two in Alberta. What do the results mean for Canada ? Nobody ( other than those who participated ) cares. The mainstream media tried to make a story out of how close these were going to be. Tonight and tomorrow they will try a paint this as a mortal wound to Thomas Mulcair and the NDP. Nobody cares, it’s the Monday sandwiched in between the weekend and Canada Day. I am surprised ( not) that anybody bothered to vote. So go pour a beer or cut your grass ( Justin you can smoke yours) and Have a Happy Canada Day everybody! Election 2015 is a year away and the tug o war for federal candidates has already started. It seems both the Liberals and the Conservatives think the seat in the EDA of Surrey-Newton is winnable over light weight MP Jinny Sims. 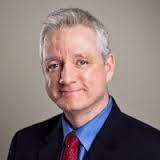 Rumor out of Surrey has both parties trying to persuade Surrey First City Councilor Tom Gill to jump municipal ship and enter the federal arena. Rumor has it that Gill has had the opportunity before but turned it down due to having a young family. This time I would expect Gill to make the jump as Surrey First will likely fall victim to the growing machine known as #itsrasodetime. Which party do you think he will join? Already the landscape is cluttered in the new riding of West Langley-Cloverdale . You have already heard that Gurmant Grewal,Dave Hayer,Paul Brar, Dean Drysadle and Mike Garisto have already thrown their respective hats ( I have never actually seen any of them wear hats) into the ring and declared they will rung for the federal Conservative Party of Canada nomination. This is only October 2013 and the nominations has not even been declared open. But now the rumor mills are working overtime and I am hearing that Surrey Mayor Dianne Watts is pondering a run for the roses. A Watts entry into this race would make it very exciting with most likely most of the aforementioned candidates volunteers ( not Gurmant’s) bailing on their candidate to help pave the way for a Watts coronation. Stay tuned this could be a lot of fun!